Pirates of the Caribbean is one of our favourite movie franchises. We are super excited for the final instalment 'Dead Men Tell No Tales' and have already booked our cinema tickets as a half term treat later this week. Jack is particularly obsessed - I think it's partly down to the fact that he shares his name with the star Jack Sparrow. He spends a lot of his free time running around the house pretending his is the Kraken and when we visited Scotland last year, he wasn't interested in finding the Loch Ness monster, for him, it had to be the Kraken. 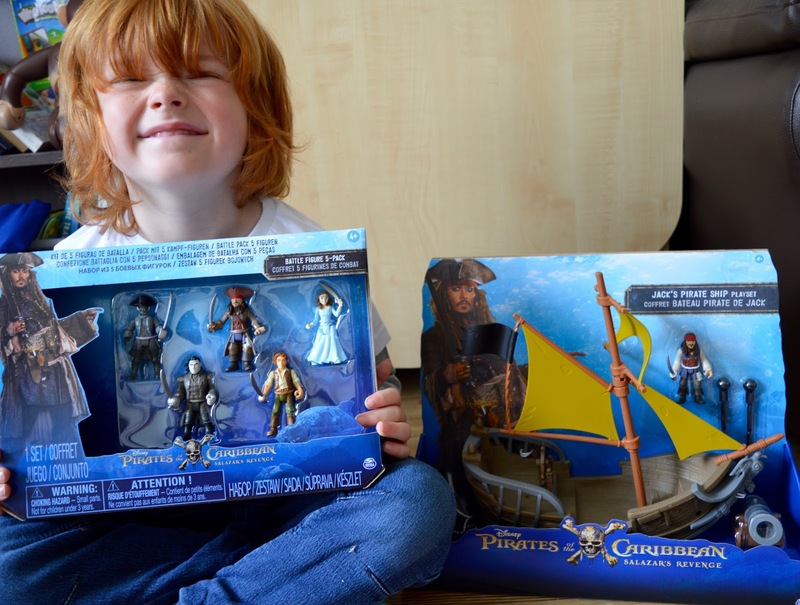 So Jack was super excited when I told him he'd been asked to review some Pirates of the Caribbean playsets. 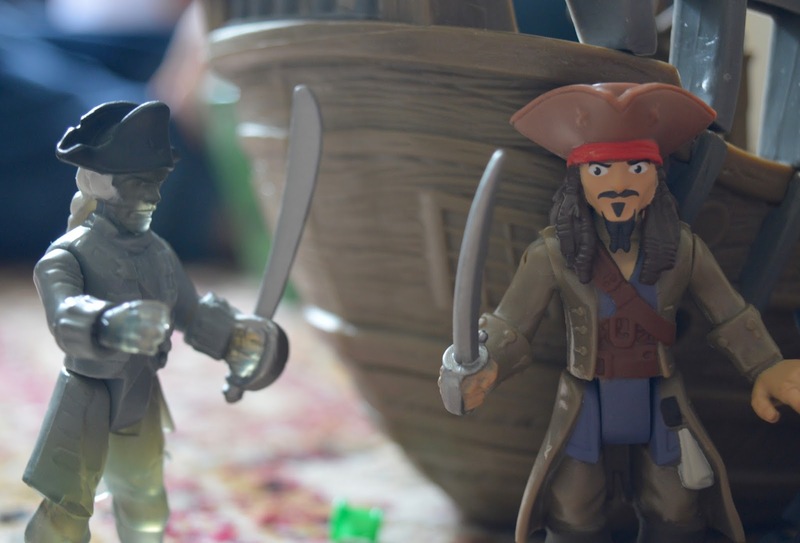 He currently owns no pirate-themed toys at all and relies on his imagination. You can see by his face how happy he is. We were set two Spin Master playsets which can be used separately or together. 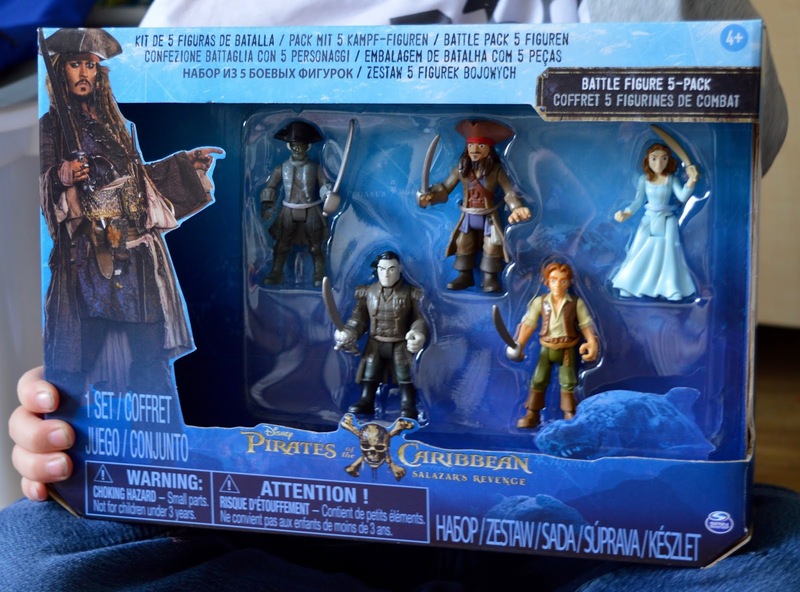 The first is a set of 5 Pirates of the Caribbean 3" figures from the movie Salazar's Revenge. 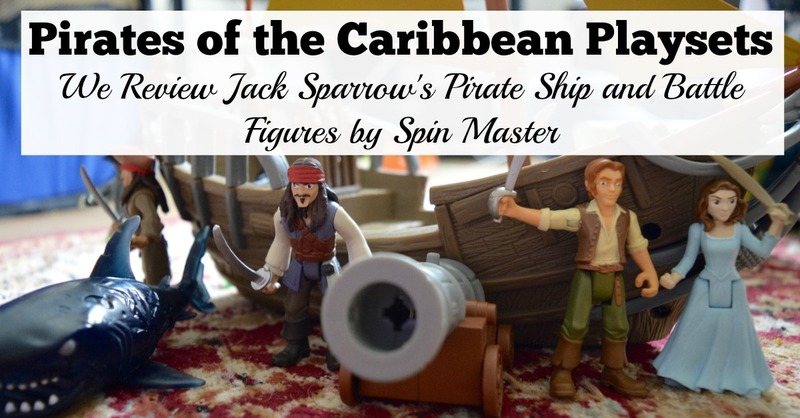 Figures include Jack Sparrow, Henry, Carina, Captain Salazar and a ghost crewman. They're all equipped with their own pirate swords and can move into various positions. The figures can team up together or fight against each other. They feel very robust and like they will stand the test of time. 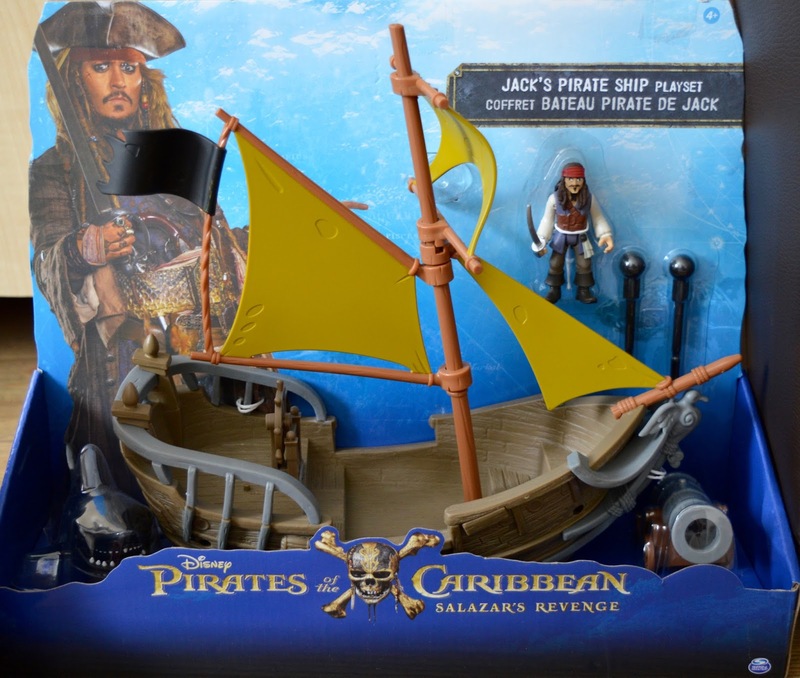 The second playset is Jack Sparrow's Pirate Ship. 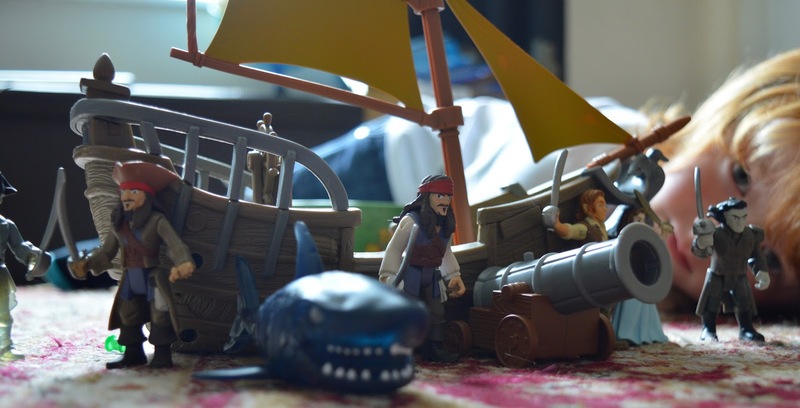 This set comprises of a pirate ship, ghostly shark figure, Jack Sparrow (and sword) plus a cannon and cannonballs. 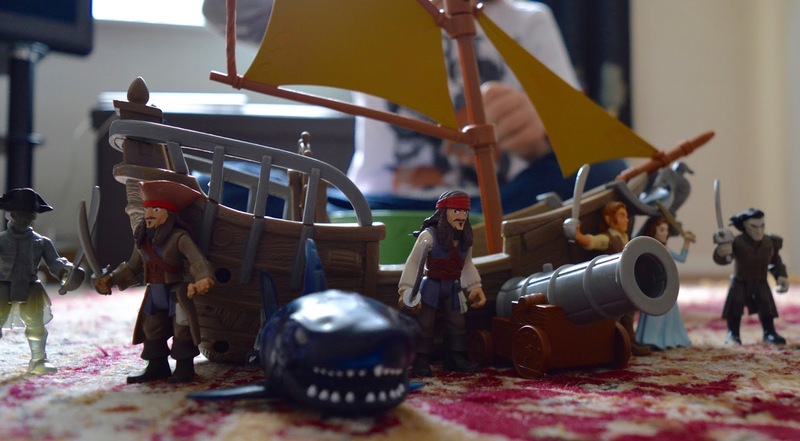 These playsets do not require batteries and are aimed at aged 4+ which I think is fair. I think children aged 4-8 years are the perfect age. 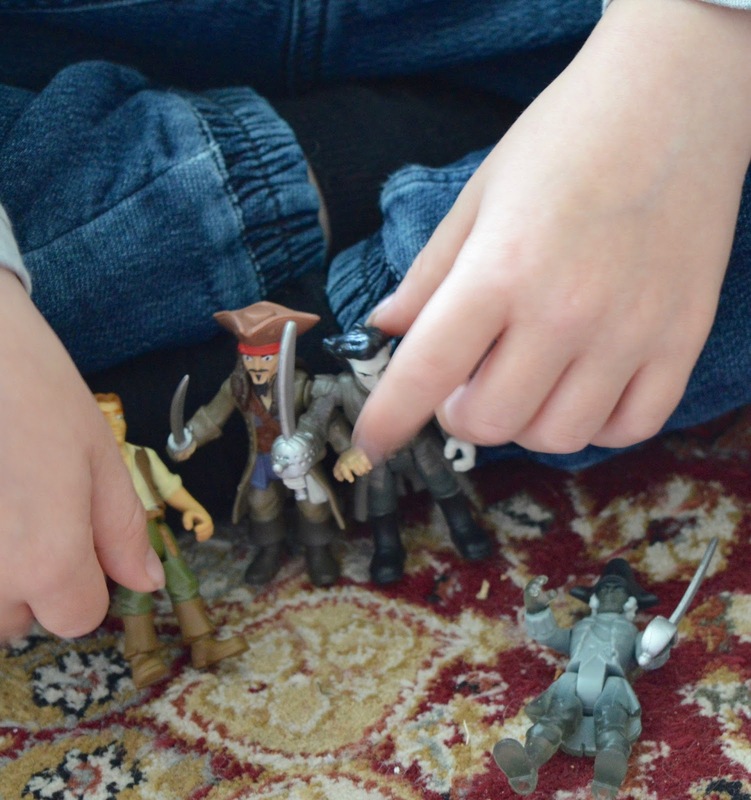 Jack has had lots of fun recreating epic battles from his favourite movies. The cannon shoots real cannons and the boat is on wheels so when you push it along a hard floor it replicates real waves. I love that the girl character also has her own sword - there are no gender stereotypes here! Jack has already spent hours with his playset and it's been his favourite toy to play with this half term. He has even taken it in the bath with him! 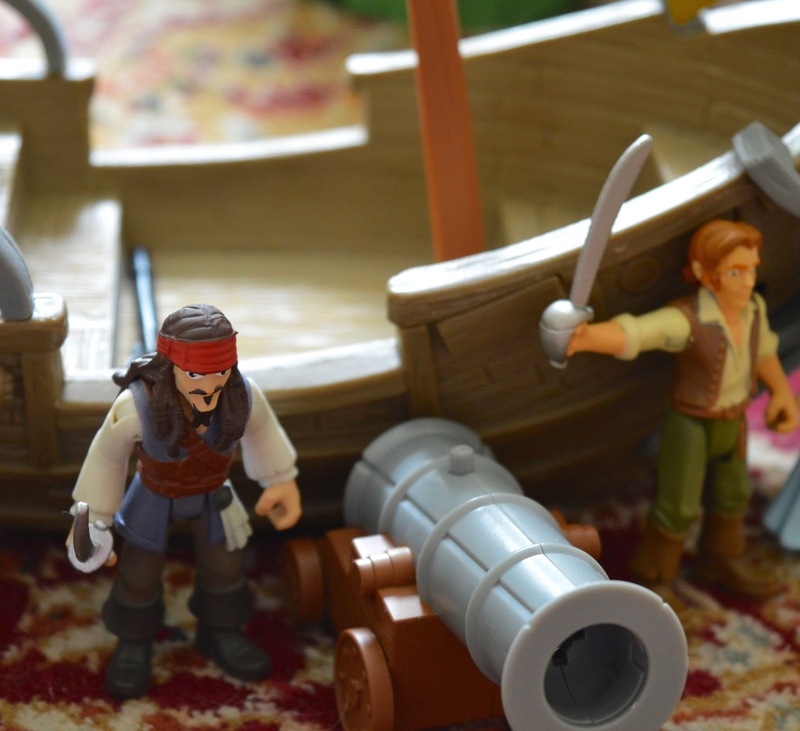 I like that these playsets offer a lot of variety so there are endless options for play. 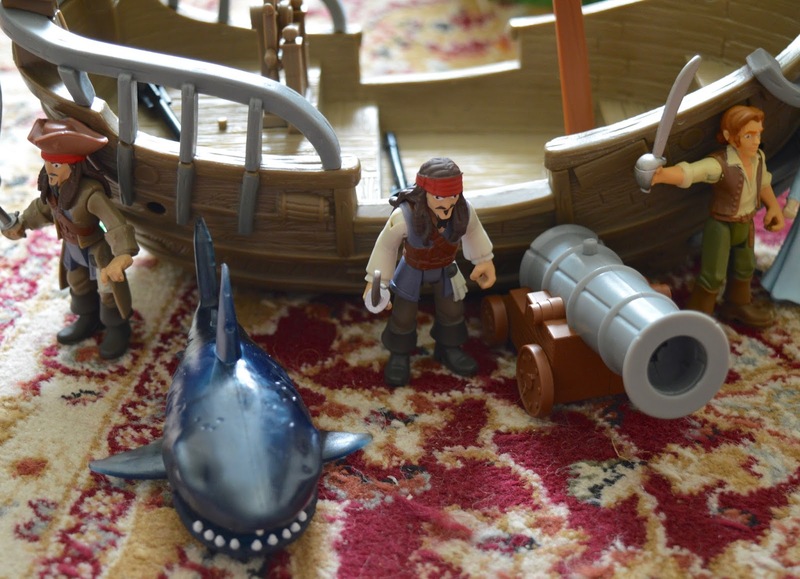 There's a ghost crewmate who can haunt the ship, Captain Jack Sparrow who leads the way, a scary shark that could attack at any moment and so much more. 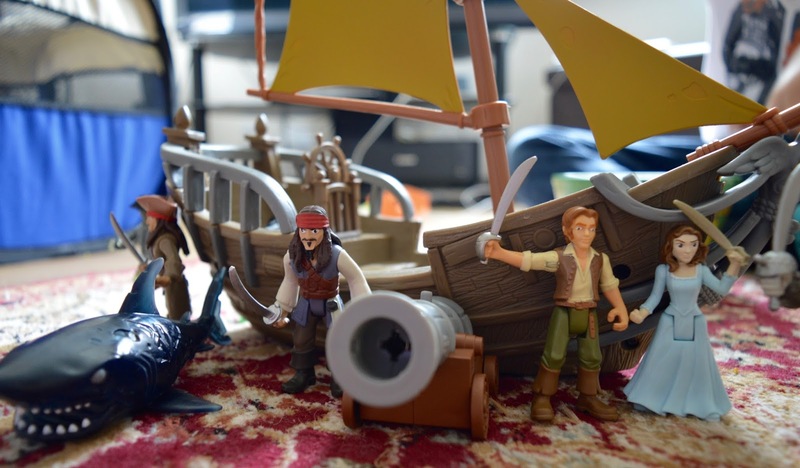 As a parent, I like that the figures can be stored inside the ship and everything can be kept together. 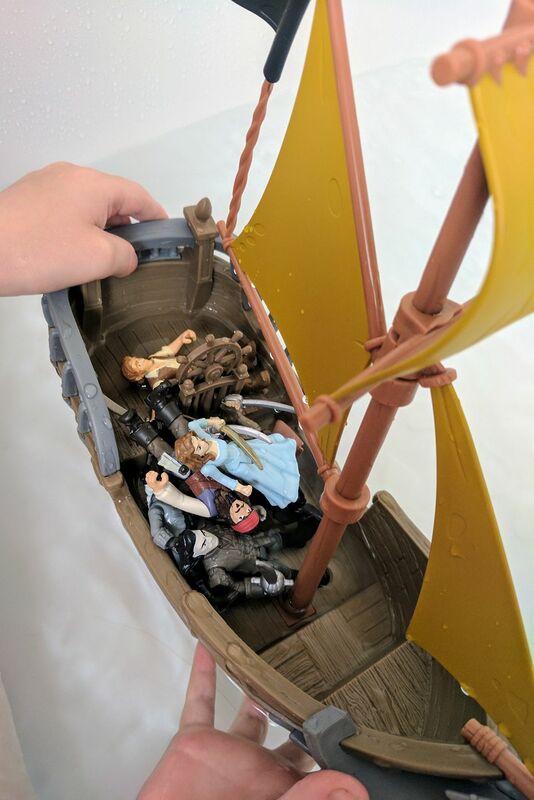 If your son/daughter is aged 4-8 years old and is a fan of Pirates of the Caribbean, they won't be disappointed with these playsets. Jack gives them his seal of approval.